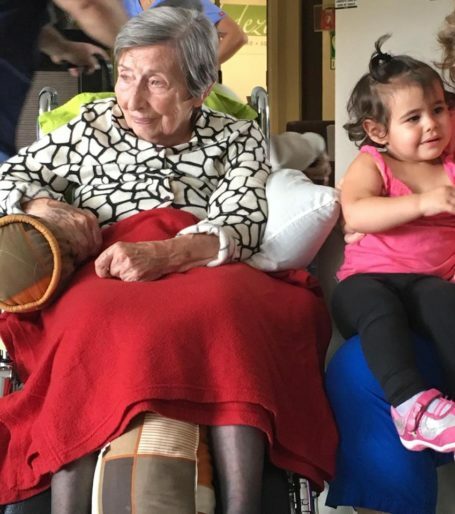 Here is a picture of my daughter Lily with her great-grandmother Berta Moszkowicz. Berta was born in Berlin and survived the Holocaust after her parents put her on the Kindertransport. Berta was able to go on the Kindertransport to London thanks to the kindness of an older cousin Lily who arranged to take care of Berta. Hearing this story, figuring out a name for our daughter was a no-brainer. It’s an honor for our daughter to carry the name of the woman who saved Berta and Berta’s older sister’s life.